In this project, the strength and permeability of pervious concrete was compared with M15 grade conventional concrete. And various other concrete mix like boring soil &lime based concrete, cement concrete with different amounts of fine aggregate and fly-ash were also tested for their compressive strength. 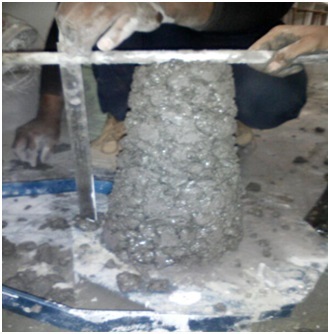 Tests for workability of concrete were also done on different concrete mix. 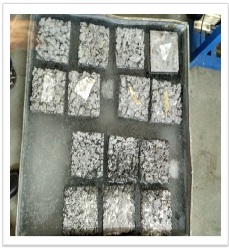 Also, the laboratory and field tests were done for fine aggregate, course aggregate, etc. The strength properties of pervious concrete often refer to the compressive strength, flexural strength and split tensile strength. 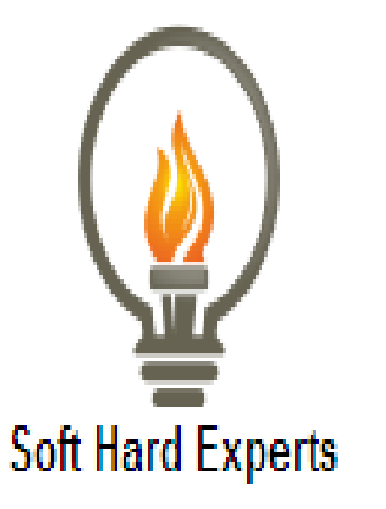 This report mainly explains about the compressive strength of different samples. The mix proportion is achieved from M15 grade of concrete in which the sand is eliminated in one sample, and for other samples the sand is increased by 5%. 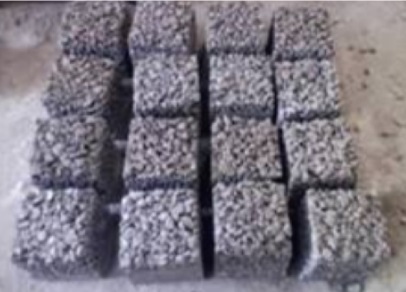 The water cement ratio in pervious concrete samples has been chosen as 0.3 and OPC43 grade cement is used. 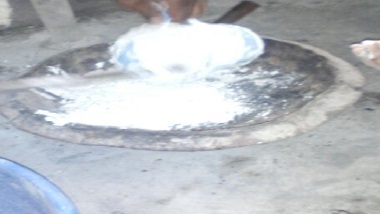 In addition, 20% of quantity of cement has been replaced with fly ash in each pervious sample. The pervious concrete cube is casted with cube size of 150mm×150mm×150mm and they were cured in water for the period of 7, 14 & 28 days. The compressive strength test is done in laboratory after curing. Then the compressive strength of pervious concrete is compared to compressive strength of M15 grade of concrete. (ii) To compare compressive strength, workability of pervious concrete to compressive strength of M15 concrete. (iii) To select suitable ingredients of concrete and determine their relative amounts with the objective of producing a concrete of required strength, durability and workability. (v) To study the ability of pervious concrete to lower overall project costs on a first cost basis. (ii) Carrying out different field test on the ingredients of concrete mix. (ix) Testing permeability through field test on pervious concrete..
(x) Comparing the different properties of pervious concrete with conventional concrete. Pervious concrete with 0% sand and rolling compaction. Concrete with 10% cement, 20% fly ash, 30% boring soil and 40% lime as binding material. From the compressive strength test we concluded that the strength of concrete with 0% sand has adequate strength compared to strength of m15 concrete. And has max. porosity. Thus, pervious with 0% to 5% sand should be used for pavement purpose to drain rain water and storm water run off. In India, pervious concrete will become more popular in future due to increased urbanization and reduced water level.